The DWI blood test case is becoming the stock-in-trade of many law enforcement agencies across the state. Whether it’s a sample provided voluntarily after arrest, or obtained via search warrant following a refusal, defending blood tests are now commonplace for the DWI defense attorney. Making preparation more demanding is the technical nature of these cases. In fact, the DWI blood test may be on the list of most dreaded cases to defend. Nevertheless, prosecutors are relying on the blood tests which compels defense lawyers to effectively defend them. Despite their complexity, blood test cases can be divided into easily digestible areas of inquiry. Our topic this month addresses the most vulnerable component of the DWI blood test case . . . the blood draw. To exploit this vulnerability lawyers are obliged to become experts in phlebotomy essentials. I suggest investing in good textbooks and get reading. My library includes: (1) Garza & Becan-McBride, (2010) Phlebotomy Handbook, Blood Specimen Collection from Basic to Advanced, (8th Ed). Upper Saddle River, New Jersey: Pearson Education, Inc. ($80 at Amazon); and (2) McCall & Tankersley, (2012) Phlebotomy Essentials, (5th Ed). Baltimore, Maryland: Wolters Kluwer. ($65 at Amazon). I also utilize the “Nurses Guide to Specimen Collection,” published by Becton-Dickinson Diagnostics. ($18 at Pulmolab). Once you become schooled you’re ready to astutely investigate your blood draw evidence. Since many police departments video the blood draw procedure your analysis can be extremely detailed. With a video there’s no safe haven for the phlebotomist. Conversely, if the police failed to record the draw make the prosecution pay. Demonstrate (through the State’s chemist) that a forensic blood draw is the pivotal moment in the testing procedure. Through your arresting officer demonstrate they possess the technology to video anything. Argue at closing, by failing to record the blood draw, the prosecution is compelling the jury to speculate about the draw’s efficacy. One method used to attack the DWI blood test is implication. In other words, press into service a good DWI video to suggest (indirectly) the blood test result must be erroneous. However, scoring direct points through the phlebotomist, employing a potential sample contamination theme, is more effective. If the blood sample was contaminated then the test result must be compromised. Your phlebotomy textbooks teach the procedures employed to obtain contamination-free samples. Consequently, when the phlebotomist fails to observe published procedures you’re scoring potential contamination points. And, thankfully, there are a limited number of issues upon which to cross-examine. 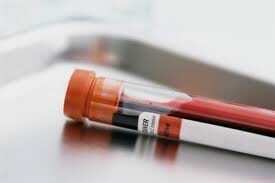 Further, phlebotomists are not accustomed to drawing blood for forensic purposes and aren’t accustomed to testifying. Their experience is limited to clinical blood draws which are obtained to direct patient health care decisions rather than samples used to determine whether a citizen goes to jail. Our refuge on cross-examination is a learned treatise on phlebotomy. See TEX. R. EVID. 803(18). A successful cross necessitates your witness acknowledges some authoritative source on the subject of their testimony. Put another way, we want the learned treatise to corner them. Consider serving the phlebotomist with a subpoena duces tecum prior to trial compelling them to produce their own authoritative treatise. When they bring their favorite textbook to trial . . . use it to impeach them. Another method is persuading the trial judge to take judicial notice of your treatise pursuant to TEX. R. EVID. 803(18) and TEX. R. EVID. 201. See Emerson v. State, 880 S.W.2d 759 (Tex. Crim. App. 1994)(courts authorized to take judicial notice of facts outside the record if they are “capable of accurate and ready determination by resort to sources whose accuracy cannot reasonably be questioned”). Consider filing a motion asking the court to take judicial notice of your sources. Include copies of the relevant chapters as exhibits and admit them as a bill of exception if the court denies the motion. Equally important is demonstrating harm by showing how you would have cross-examined the phlebotomist with the treatise and argued those facts. Tube Mixing: Gently and completely invert the tube 3-8 times or according to manufacture’s recommendation. (McCall p. 251; Garza p. 338; Nurses Guide p. 17, 20). Inadequate or delayed mixing can lead to micro-clot formation and affect test results. (McCall p. 251; Nurses Guide p. 26). I have yet to see even experienced health care professionals draw blood “by the book.” By using published phlebotomy basics to cross-examine the blood collection procedure we can score legitimate points to argue at closing. Use this list as your starting point, get reading, and good luck at your next DWI blood test trial.